I am a Senior Lecturer at Central Queensland University (Adelaide campus) in the School of Health, Medical and Applied Sciences, where I lecture in psychology and apply psychological principles and methodology to the study of humans and non-human animals. Editor and lead author of 'The dingo debate', by CSIRO Publishing (2015). 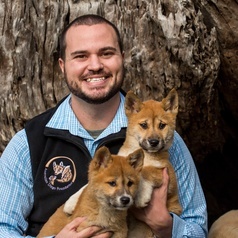 I have a broad range of research interests including the behaviour, development, physiology and cognition of domestic and wild canids, human-wildlife conflict, attitudes toward wildlife and conservation, non-lethal management of carnivores, and all aspects of Australia's wild canid- the dingo.